With all the dramatic spotlight they receive in TV and cinema, you may think that professional security services aren’t meant for everyday people or businesses. While they might not spend all their time in the real world in high speed pursuits or foiling assassination attempts, these highly trained professionals are the reason ordinary citizens can take their safety for granted on a day to day basis. Whether they are serving as personal bodyguards, patrolling the perimeter of an office building, or keeping the peace at a crowded event, the seasoned team of security officers at ACES Private Investigations are here to provide the people of Dallas, Texas the peace of mind and professional service necessary to keep you and your clients safe. And, as all of our staff is comprised of former police officers or military personnel, you’ll know that your safety is in the right hands. 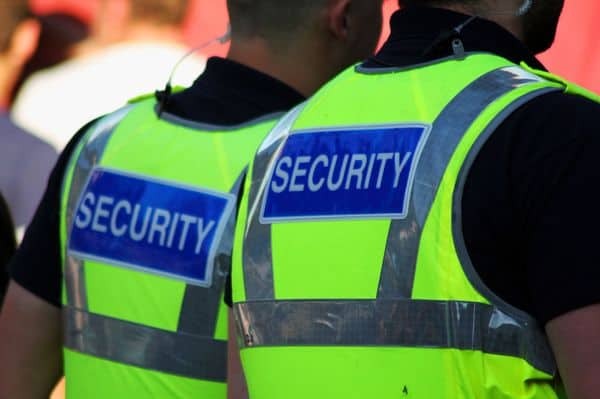 If you’ve ever wondered when or why you might need the services of a private security team, this post will offer you insight into the most common ways that these services can benefit individuals and businesses. If you don’t think your business or property needs security, think again. According to a survey conducted by Insureon, almost 9% of small businesses suffered a burglary in 2016, and FBI data from the same year reveals that nearly 70 percent of burglaries occur in residences. So, whether at home or work, you’re gambling your safety and property with the roll of the dice if you don’t take appropriate measures to ensure security. And burglaries are just one of the many incidents that you need to be prepared for. There are also natural disasters, unruly guests, trespassers, lockdowns, and active shooters, just to name a few. When you work with ACES, one of our first goals is to listen to your needs, learn about your day to day operations, and construct a personalized security plan that is customized to your unique situation while still taking into consideration the wide range of dangerous scenarios that any organization needs to prepare for. A solid security plan will detail who needs to do what in any given situation, accounting for all assets, personnel, and other items that need to be kept safe. And while you can never plan for every situation that might occur, a clear plan allows our experienced safety officers to adapt as necessary regardless of the dilemma. But the presence of a well-trained team of security officers is about more than just keeping people and property safe. It’s also about providing peace of mind. Employees will work more efficiently knowing that in the unlikely event of an emergency, they have a team of trained professionals who are prepared to react to a variety of dangers to ensure their safety. Likewise, patrons can shop or browse with ease knowing that they are in safe hands. ACES safety officers can patrol either armed or unarmed, allowing you to implement the security strategy that is most comfortable for you, your staff, and your visitors. With social media and news reporters working round the clock, there is never any shortage of violent incidents at the back the general population’s mind. Businesses with noticeable security measures in place invite customers to relax and forget their usual anxiety for an hour or two. Schools also benefit from visible safety officers. Not only does their very presence deter violent or criminal incidents from occurring, but parents, teachers, and students will all be able to perform at peak efficiency without having to worry about the nightmares that plaster the headlines. Do you regularly speak in front of large crowds about controversial topics? Is your wealth or business success public knowledge? Do decisions you make affect other people in a way that could be perceived negatively? Are you often featured in news or social media? All of these situations could put you or your loved ones at risk for harassment or physical violence from unknown agitators. All it takes is for one jealous, bitter, or mentally unstable person to perceive you as the source of their problems. A professional bodyguard team not only acts as a visible deterrent, but is prepared to neutralize dangerous situations before they escalate. ACES bodyguards can provide 24/7 protection wherever you go: from home to the office to everywhere in-between. And our officers are trained in hand-to-hand and armed combat, so you know that if worse comes to worse, your safety is in the best hands possible. A well-trained staff of security offers is the glue that holds an organization together and the grease that keeps it running smoothly. They are the perfect mix of visibility and subtlety, commanding a strong enough presence to deter crime and ensure peace of mind while also communicating in a friendly enough manner to keep employees and patrons from feeling too heavily policed. When incidents do occur, they are handled as quietly as possible with a level of professionalism that inspires confidence in the organization. The security team has a plan in place for the most significant threats, but also has the experience and problem-solving skills necessary to adapt to new situations as they arise. The team at ACES, with experience in both the police force and military, is prepared to provide the safety and security that your property and personnel deserve.